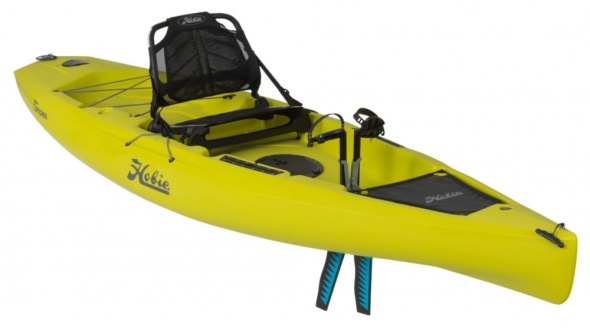 Hobie Kayaks Compass 2019 - Seagrass Green. The Mirage Compass is a hybrid of the popular Revolution and the super stable Pro-Angler with a stripped down deck layout and a fantastic price. New colours and a special camo edition with MirageDrive 180 for 2019. 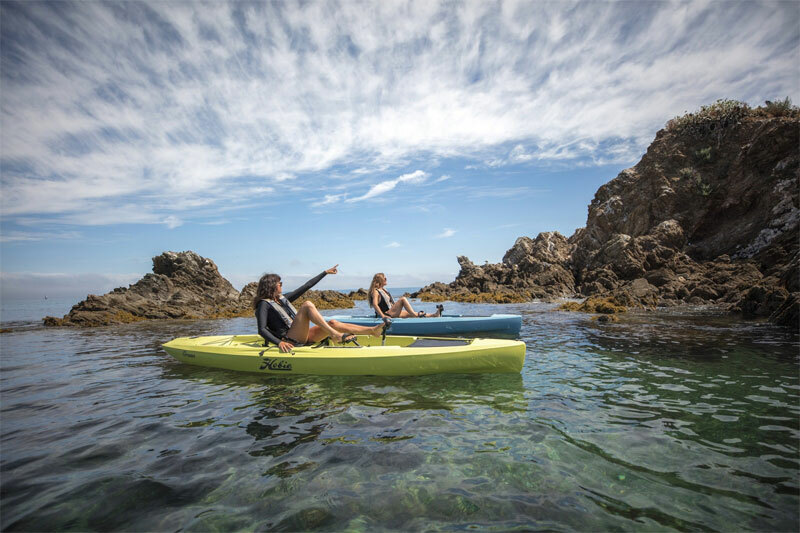 The Hobie Mirage Compass takes the design stability of the Pro-Angler 12 and combines it with a pared down the bow section to produce a craft that is much more at home on coastal waters, whilst having more deck space and primary stability than the narrower Revolution 13. The Compass can cut through the chop yet remains secure and stable when used for fishing or bird watching. 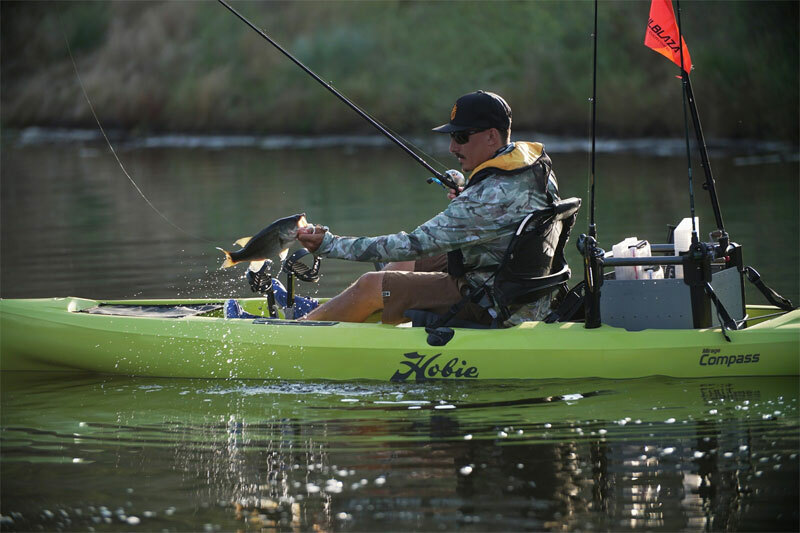 Powered by a powerful Mirage Drive using Glide technology for smooth peddling the Compass leaves your hands free for casting, holding binoculars or filming. The special Camo Edtion Compass features the non-ARC MD180 Drive with Turbo Fins. Steering is done by a large rudder blade under the stern controlled by a finger tip dial mounted on the side of the hull. There is an adjustable seat which has space underneath for storage such as tackle boxes and is made from quick drying mesh. 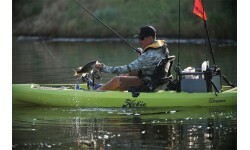 The Mirage Compass makes an ideal fishing craft. 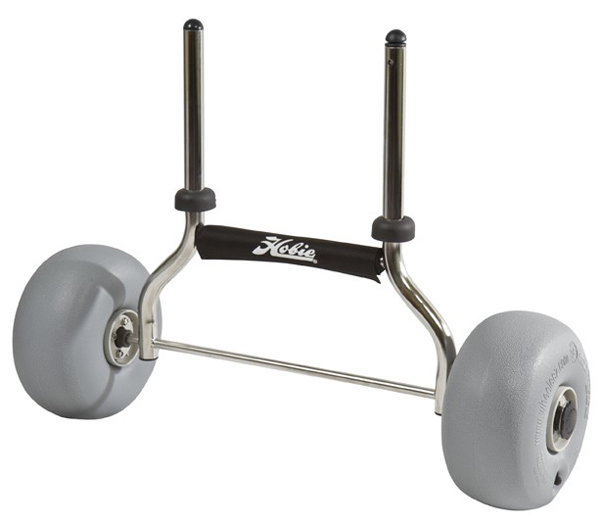 It has two flush mounted rod holders aft of the seat and two sections of H-Track just in front for mounting additional accessories without needing to drill into the boat. 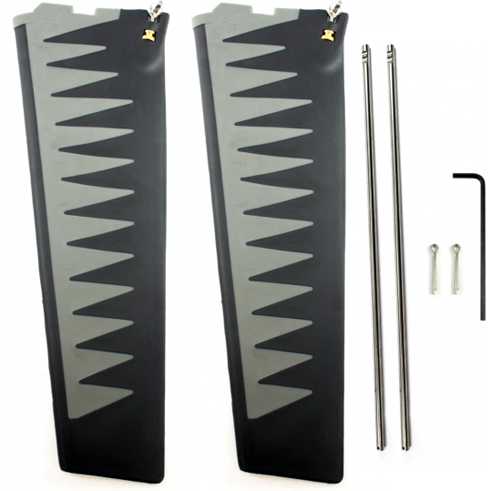 The H-Track is compatible with all popular mounting systems including Railblaza, RAM and Scotty. There is an 8 inch twist’n’stow hatch in front of the seat for tackle or bait and more gear can be stowed under the mesh cover on the bow. There is also space for an accessory hatch to be fitted here if needed. There is of course a large tankwell which will take all of the usual Hobie accessories including the H-Crate and the Livewell. Fitting a fish finder? No problem, the Mirage Compass comes Lowrance ready with deck seals for waterproof cable routing and a flush mount transducer section under the hull for a quick efficient and easy fit out. 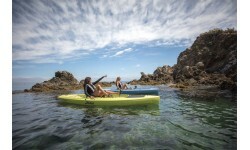 For such a capable craft the Mirage Compass weighs only 31kg (fitted hull weight) and only 39kg when kitted out with seat ,drive and paddle which means it’s one of the lightest kayaks in the Hobie Mirage range. 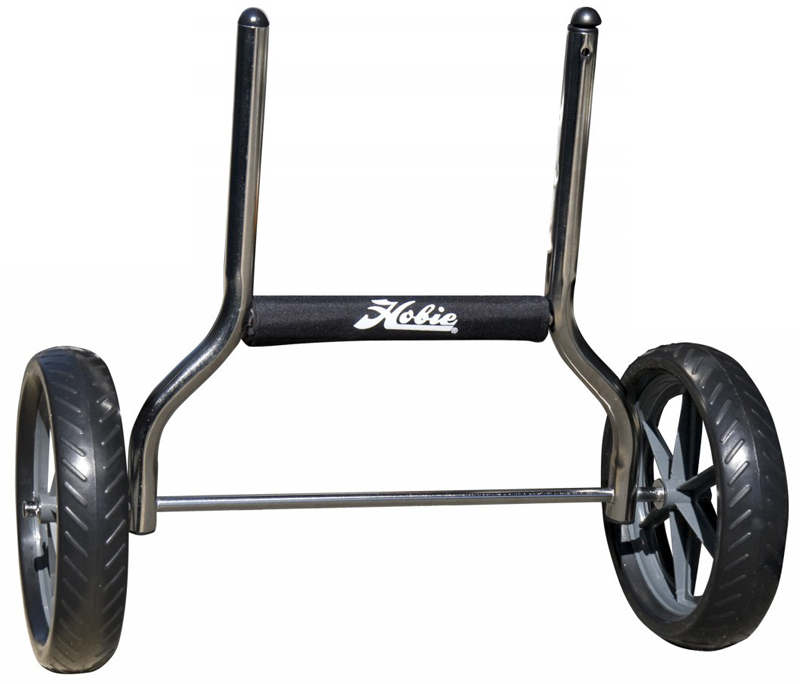 We offer a delivery service for the Hobie Compass to home and work addresses throughout England, Wales, Scotland, Northern Ireland & Ireland. Buy a Hobie Compass online from our website and collect from our store in Newhaven, East Sussex or from any branch within the Canoe Shops Group. There is no cost associated with this*. We can now offer 0% Finance on the Hobie Compass (0% APR Representitive).